Η Peugeot επέστρεψε στο ΙΡΑΝ και κερδίζει ξανά την θέση που είχε τόσα χρόνια. 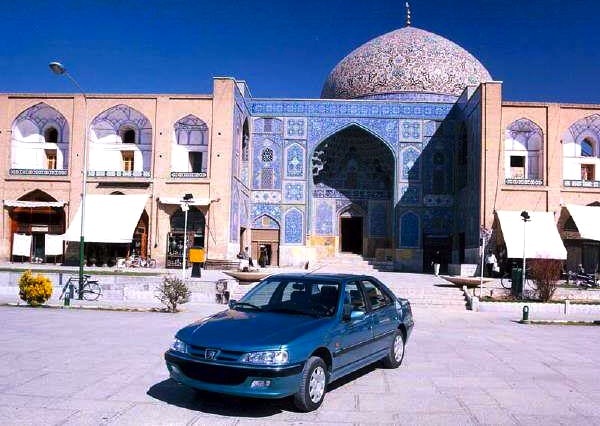 Iran November 2013: Peugeot 405 new best-seller? As is the tradition on BSCB, I can share with you local Iranian production figures as sales data remains unavailable. For now this is a pretty accurate picture of what cars are the most popular in the country as imports are limited, however this situation may change if and when economic sanctions against Iran relax. November 2013 is roughly equivalent to Aban, the 8th month of the year 1392 in the Persian calendar. After gaining 20% year-on-year in September and dropping by 5% last month, Iranian production is back into recession at -16% in November to 50,689 units, bringing the year-to-date total after 8 months to 361,097 units, down 30% on the Persian year 1391 which was already down 46% on 1390. Plus we may also be witnessing a historical change of lead in the models ranking… This month ‘eternal’ leader the Saipa Pride is produced at 15,389 units, down 32% year-on-year, while the Peugeot Pars, illustrating the return back in grace of Peugeot in the country, is up 111% to 11,145 units, its third consecutive month above 10,000 units whereas this had not happened in the last 3 years… The Peugeot 405 for its part is up 11% to 5,608 sales. Now when we take into account the Pars is only a slightly modified version of the 405, it is fair to say that the Peugeot 405 “family” has been produced at 16,753 units and is therefore the most popular model in the country for the first time in years.